The New Aulac Big Stop opened on schedule and under budget on May 19th, 2016. This is the 5th Big Stop FCC Construction has built for Irving Oil Marketing over the past 18 years. 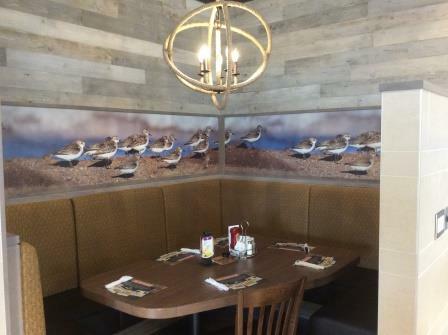 It features a convenience store, restaurant, trucker’s lounge with laundry and shower services, retail and commercial fuel. 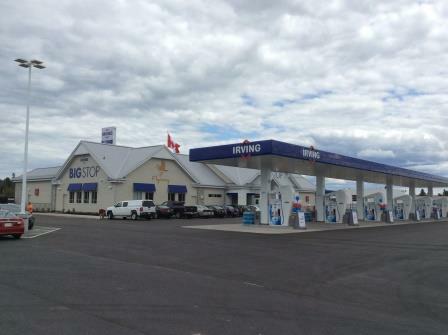 Similar to the Enfield Big Stop, Irving Oil Marketing decided to construct a new building while keeping the Existing Big Stop fully operational. This created many challenges, including separating the construction work from the customers with safety as a primary concern and removal and rework of existing sewer systems to enable construction of the New I-24, which was directly behind the Old Big Stop. This work was done through the winter months to minimize disruption to the commercial trucker’s. The main electrical service had to be reconfigured and shared water services between the buildings had to be performed without disrupting business.